 For any purchase of a MixCast license on or after May 10, 2017, the use of the Software is limited based on your specific subscription type, which is based on your intended usage and listed in Appendix A. If your use falls under any of the other subscription types below, please contact us at sales@blueprintreality.com for pricing and further details. Free. Designed for testing and personal use. Not designed for public display or release. Streamer. Designed for streamers who want to show off other people’s content on their own channel (streamers who are owned/employed by larger companies, they will need a license for the type of company they work for, or a Pro/Broadcast license). Educational. Designed for educational institutions to give broad usage rights to students, educators, and the institution itself for the institutions’ benefit and use at its facilities. VR Creator / Developer – Indie. Designed to be used by creators, developers, and publishers, to showcase their products, including internal use, testing, and public display for at trade shows or small events for a fee (a discounted version is available for companies of 10 or less full time contractors or employees). VR Creator / Developer – Pro. Designed to be used by creators, developers, and publishers, where the company has more than 10 full time contractors or employees, to showcase their products, including internal use, testing, and public display for at trade shows or small events for a fee. VR Arcades. Designed for companies that license multiple products and rent them out to people and small groups of people on a per-station basis for a limited amount of time. Pro / Broadcast. Designed for companies who want broad rights to use MixCast to profit from the use of MixCast via broadcast or public display channels. Publicly displaying content that the company have created or have a license to publicly display to a group of any size where a viewing fee may be charged. Group / Large Space Location Based Entertainment. Designed for location based companies who typically have groups or individuals go on rides or short experiences for a fee. Using MixCast to charge a fee per use, such as rental of a station or a ticket to a ride. eSports. Designed for eSports broadcasting companies to enable them to broadcast and hold live events. Any additional custom rights authorized by Blueprint on a case-by-case basis to enable deeper integration and re-use of MixCast functionality. Film & Video Production. Designed for film and video production companies to create content for others for example: trailers, commercials, marketing videos, etc. Can also be used to broadcast on company channels and for small public displays. For larger displays a Pro / Broadcast license should be acquired. Publicly displaying content to a group of up to 100 people where a viewing fee may be charged. Pop-Up / Activation Based / Event Based. Designed for companies who want to broadcast and show content at events. Using MixCast to charge a fee per use such as a rental of a station or a ticket to a ride. Enterprise. Designed for companies who want to integrate MixCast functionality into their products.